Pegu Club Cocktail and ingredients. Another classic cocktail for the weekend. 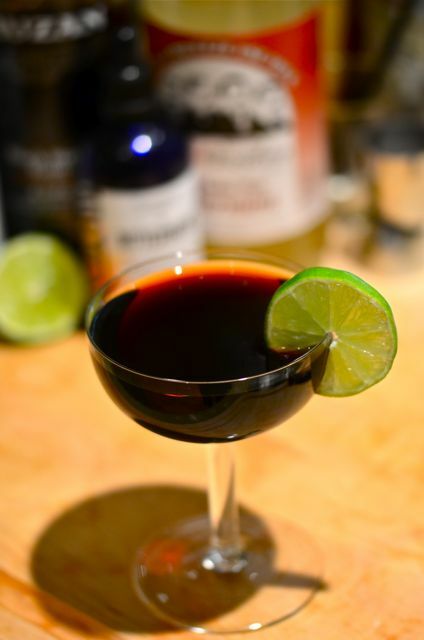 And after posting the Ancient Mariner, a tiki drink with a hard-to-find ingredient in allspice dram, we decided to go for a cocktail you can make almost anywhere. 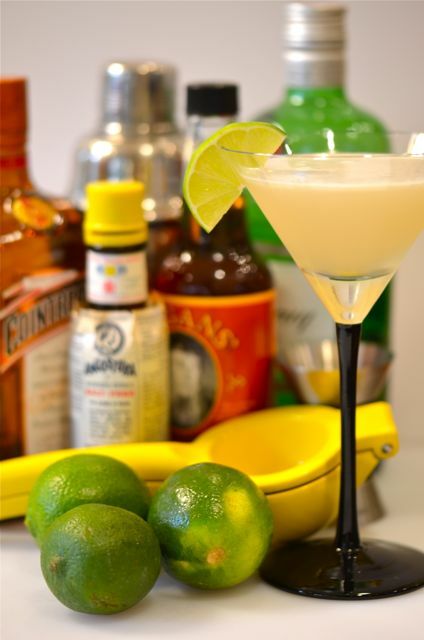 And the Pegu Club has been made and enjoyed just about everywhere. The Pegu Club is named after an old-time (and now defunct) British colonial club in Rangoon, Burma Myanmar. 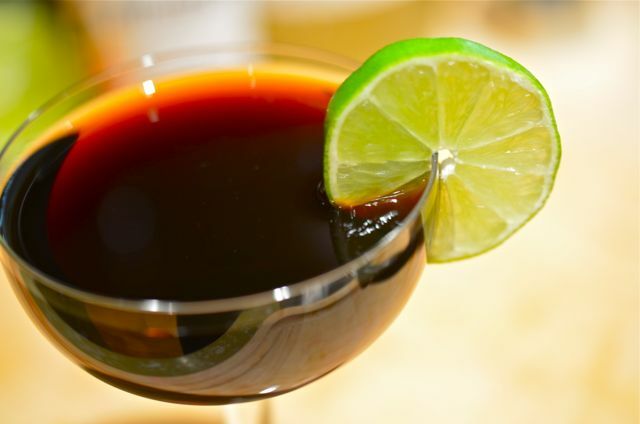 As with many colonial clubs they had their own cocktail, in this case a mixture of London dry gin (the British need their gin), Cointreau (or orange curacao), lime juice and a few bitters. A simple drink, but a very good one. And if you just thought “margarita with gin”, you are onto something. The Sidecar begets the Pegu Club and soon enough you get a Margarita. Old recipe + new booze= new cocktail. And so it goes. 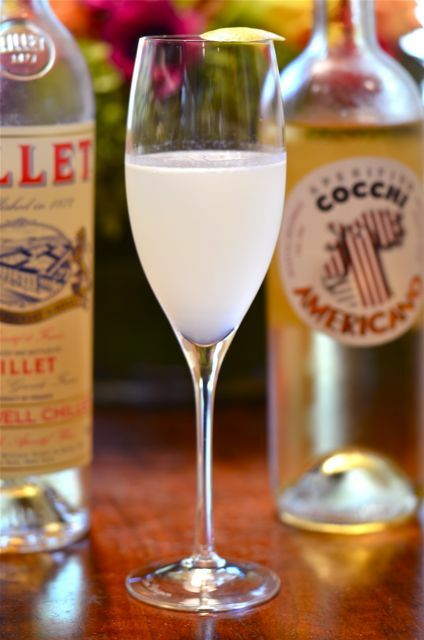 Cocktail historians track the Pegu Club back to at least the 1920’s, when the drink became popular worldwide. 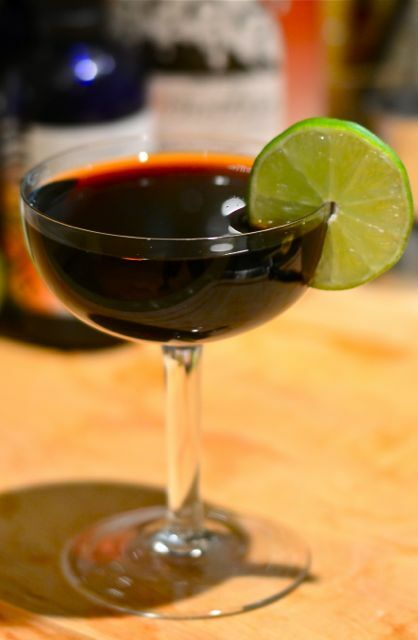 It is listed as a popular cocktail in Harry Craddock’s Savory Cocktail Book from the 1930’s. 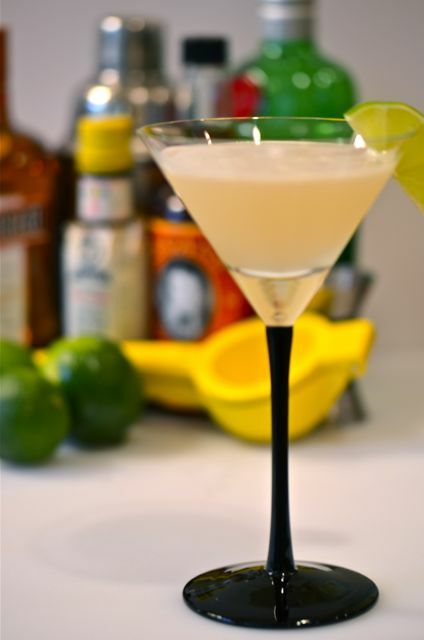 Then after World War II, the Pegu faded from view as other cocktails emerged. But good cocktails never die, and sometimes they don’t fade away either. They re-emerge. 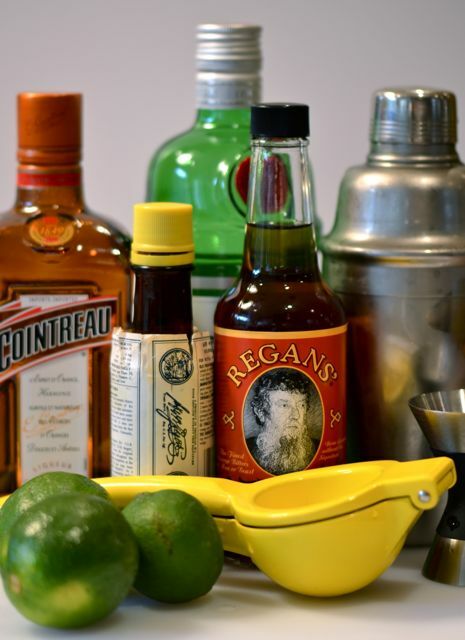 Luckily the Pegu Club is making a comeback. 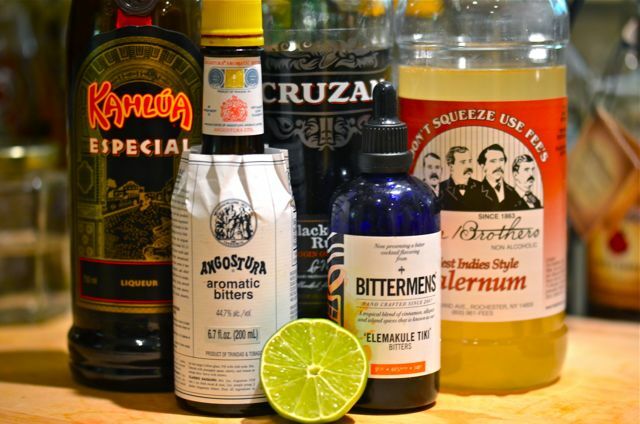 It certainly helps that Audrey Sanders, widely considered one of the best bartenders in the world, opened her bar “The Pegu Club” in NYC many years ago and helped spur the cocktail revival. If you name your bar after a drink, it had better be good. And it is very good. Openly sour, but smooth and with enough sweetness from the Cointreau and spice from the bitters, the Pegu Club goes down almost too easy. But as it was a “club” drink, the Pegu Club is still an elegant creation. If you have to put on a collared shirt (or, god forbid, dress-up) this weekend, the Pegu Club would be an excellent companion. And if you are grilling and listening to baseball on the radio with your family, and we hope you are, the Pegu Club can hold its own. Mamie Taylor Cocktail. 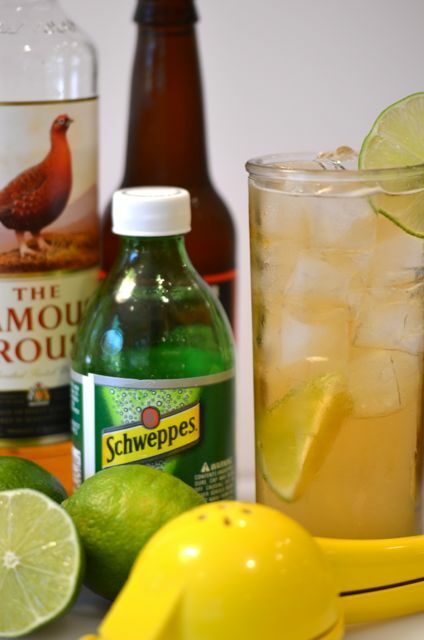 A Presbyterian Cocktail with lime. More recipes for Memorial Day weekend. The inspiration for these cocktails comes from an odd source, although I guess any cocktail called a Presbyterian has an odd source. The history and traditions of the Presbyterian church are somewhat austere to be the source of many cocktails. Anyway, it turns out that our local farmers market is near a very popular church. The church is so big they have three services every Sunday morning, which happens to be our farmers market time. Most of the year this isn’t a big deal, but as we get into summer the crowds at the farmers market grow and parking becomes scarce. Tempers can flare a bit (silly, I know, but such is local life) with the crowds and one friend recently remarked “better get there early or you will be chucking elbows with those damned Presbyterians!” Classic. While we don’t have a dog in that fight, the comment did remind us of the Presbyterian cocktail. We were looking for a summer drink that used whiskey, rather than lighter spirits and the Presbyterian does the trick. The Presbyterian not only uses whiskey, it uses blended scotch, something we don’t often equate with summer. 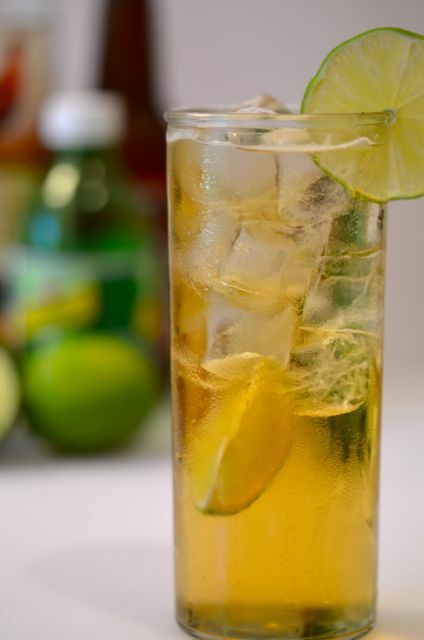 The Presbyterian combines 1 part scotch with 1-2 parts of ginger ale (or ginger beer) served over ice. And it is surprisingly good, particularly if you like scotch or blended whiskey. The sip is refreshing, with a touch of the smoke and peat from the scotch and some sweetness and spice from the ginger ale. The scotch keeps the sweetness in check and provides a clean finish. A good cocktail but perhaps a bit off-beat for some. One of the cool things about cocktails is how one drink can provoke many different reactions (and some fun conversations). 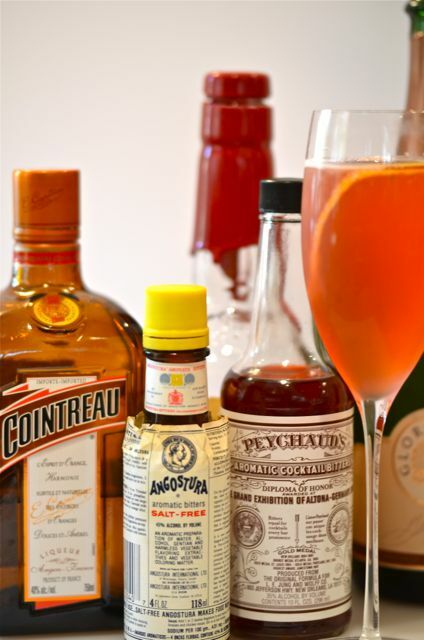 And this week’s feature, the Seelbach Cocktail is a very good example. 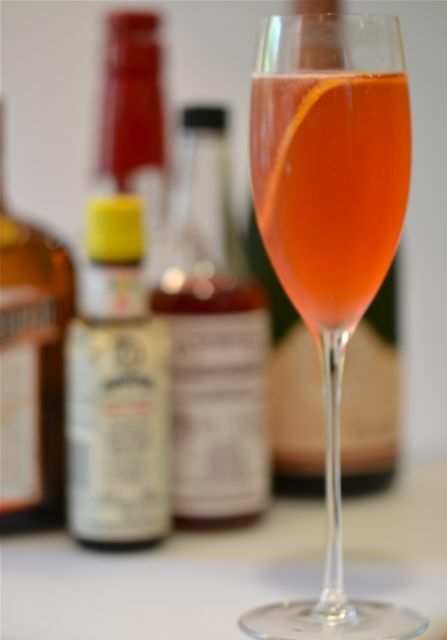 Created at the Seelbach Hotel in Louisville Kentucky in 1917, the Seelbach cocktail combines bourbon, Cointreau, liberal doses of Angostura and Peychauds bitters all topped with dry champagne. 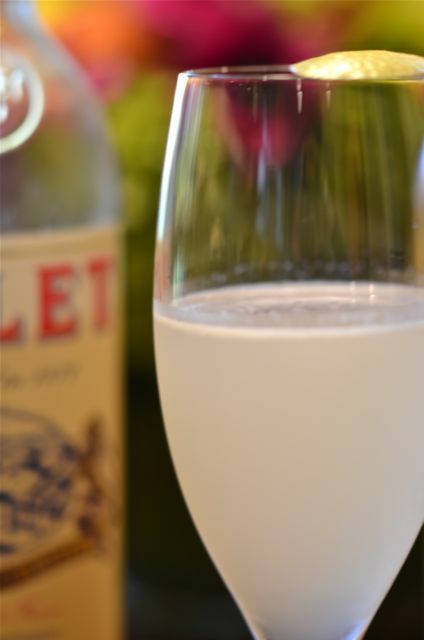 The drink is sweet from the bourbon and Cointreau, with pronounced spice from the bitters but has a dry, light finish from the champagne. The Seelbach is a balanced, tasty, classic drink that is often seen on better cocktail menus. This is a cocktail we will continue to make, and enjoy, regularly. 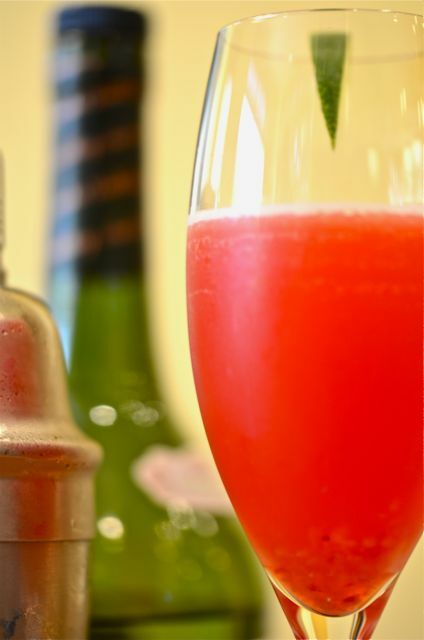 But beyond simply tasting good, what makes the Seelbach so interesting is the varied reactions to the flavors. Both Carolyn and I lean towards lighter gin, rum and tequila cocktails. When we tasted the Seelbach’s sweet bourbon, orange and spice we immediately thought “great for winter holidays”. But our friends who enjoy Manhattans and Old Fashioneds like the Seelbach as a “lighter”, almost summery, drink. If you are a fan of whiskey-based cocktails, the Seelbach certainly succeeds in keeping the flavor profile of whiskey, but also adding new dimensions and a cleaner finish. Having such broad, but varied, appeal is pretty nice trick for such a simple drink. A few things came together recently to provide us with this week’s cocktail, the Cherry Fling. Firstly, our friend Roger came over for dinner and happened to see a bottle of genever on the bar and was curious. 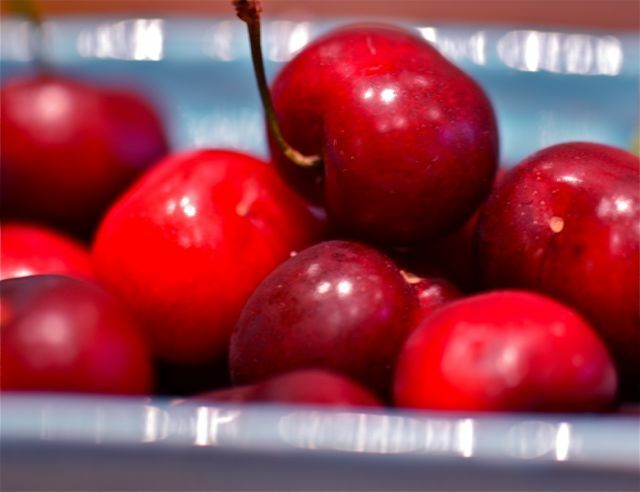 Secondly, cherries are in season (yes!). One thing leads to another and we get the Cherry Fling Cocktail. As for the cherries, ours are green and on the tree, but the farmers market had some beautiful early-season Bing cherries. The cherries were a deep, dark red and very sweet but with some tart notes. The cherries will end up in pies and ice cream soon, but we wanted something now, so we went right for a cocktail. 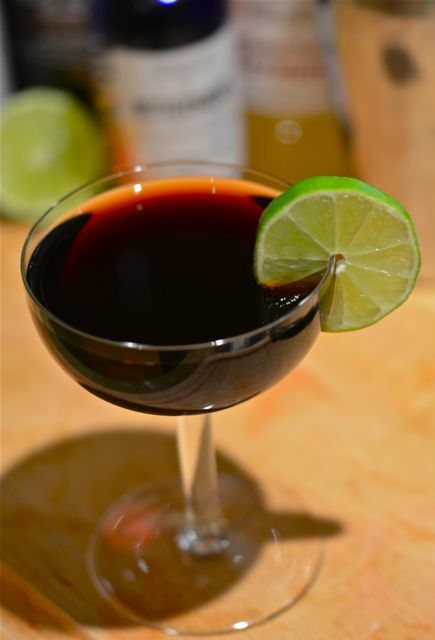 We did some research and found a few good cocktail recipes using fresh cherries, like the Ruby Tuesday (good drink, btw), that include whiskey as the base spirit. In fact, most fresh cherry cocktails have bourbon or rye as the base spirit and add lemon juice. But Carolyn didn’t want a “brown drink” and I was thinking limes rather than lemons with the cherries (I love cherry limeade, yum). 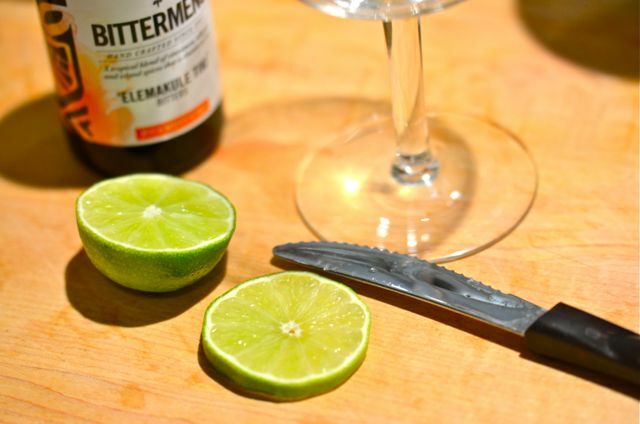 Limes, however, don’t usually go with rye or bourbon. Luckily, this led us right to the genever.